I tend to disagree. Apple is not going anywhere. I’ll tell you why. Apple has a core following of designers, audiophiles, and those who are already entrenched in their ecosystem. It’s hard for many to convert from a system that they’re used to. It’s even harder to convert from a system that they’ve sunk hundreds of dollars into, buying tons of apps. But let me get back to my first point. iOS and Apple have a strong core following of designers and audio professionals. 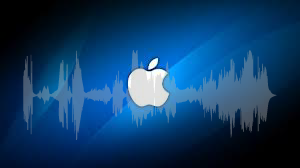 I love Apple because I can record, edit, upload music to my server, and convert audio files…all from my phone. I love Apple because there is a ton of external hardware made just for recording music. I love Apple because my midi devices work great with iOS. Namely, I can connect my usb piano/keyboard and use my phone as a sound module. This is an area where android is lacking. The audio apps are generally sub-par (with exception of Auria! and a few others). The largest issue is latency with Android. Apple’s iOS doesn’t seem to have this issue unless running multiple audio apps. Another feature that has attracted me to Apple is a new app called Audiobus. It’s an app that links audio apps together for the ability to play, record, loop and bridge audio apps so that you can use multiple apps at a time. It’s basically a large audio chain of apps. Being able to bridge apps together is a huge advantage when it comes to audio. I can then use my synth apps, add on effects from another app, and then dump them into Loopy HD. The more audiobus grows, the better it will become. Just in a few months I’ve seen them add support for a few different apps. Beatmaker being one of them. I also talked to their tech support and they have been in contact with Jordan Rudess from Dream Theater. He has a set of apps that I love. I’m very excited to see if Jordan will bring audiobus support in his next updates. So for every android fanboy out there. Apple still has some great tricks and apps. They are all stable, and they make me realize why apple is still the king of mobile audio. BUT, I love android too. It’s customization is amazing, and google is constantly making it better. So don’t be a fanboy. Each platform has its advantage and use. I for one like a choice of multiple platforms, and my household is a multiple platform household.